Spirit Ridge at Nk’Mip Resort. Photo courtesy Nk’Mip Resort. Located at the very southern end of the Okanagan Valley in Canada’s only desert, Spirit Ridge has both water and desert mountain views depending on the suite you’re in. There’s a heated outdoor pool gloriously long enough to do laps. A hot tub besides, steam room, and fitness centre provide all the amenities you might desire. There’s a comforting spiritual energy at this resort. 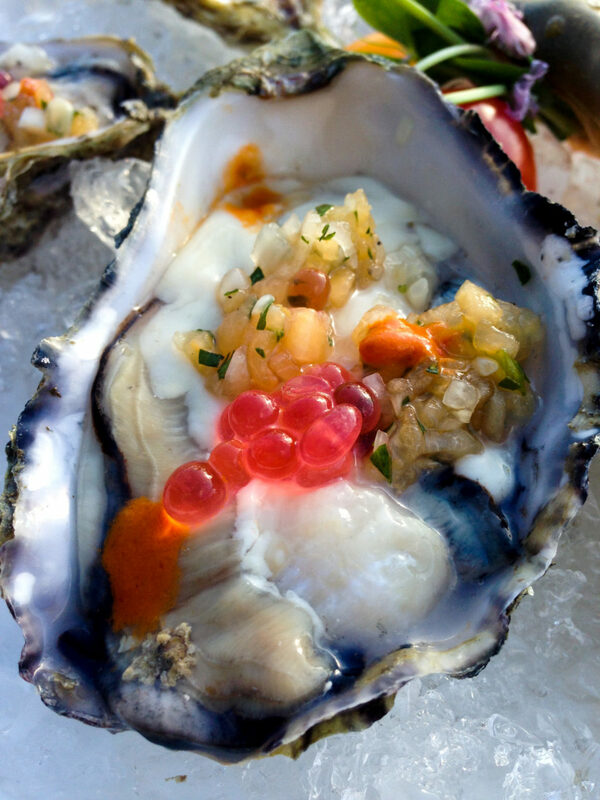 A real highlight is the on-site Mica Restaurant, which always serves such fresh seafood. 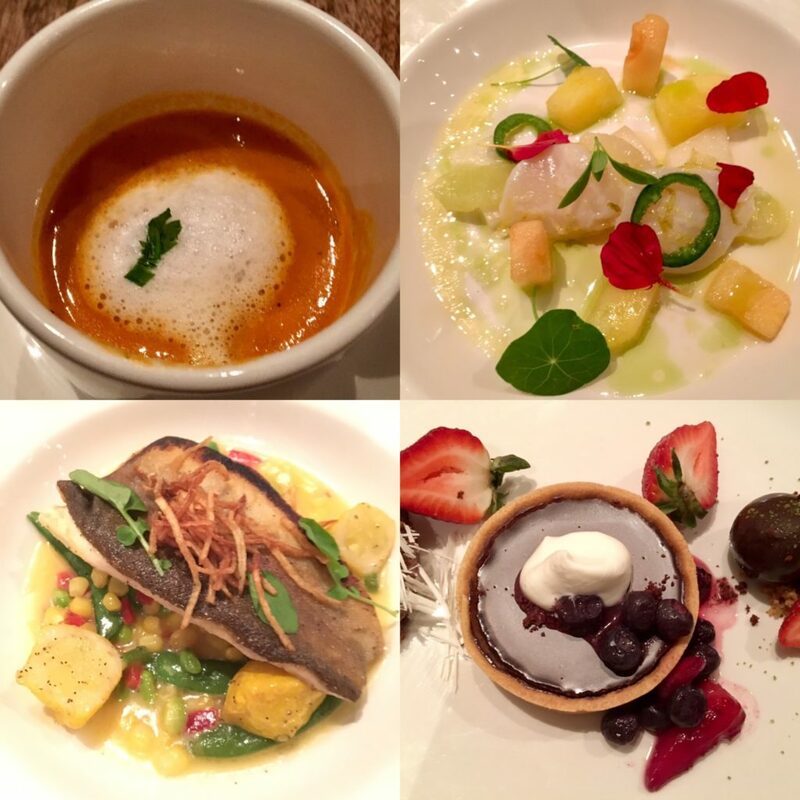 I’ve had oysters on the half-shell, scallop ceviche, and arctic char – each time perfect and beautifully presented. The Mica Eggs Benedict are among the best I’ve had. The only quibble? No lattes and such in the restaurant, though there’s a cafe where you can order them in addition to other takeout goodies. Of course, there is the Nk’Mip Cellars with ripe, full-bodied fruit-forward reds (and whites including a Riesling ice wine). Suitable for families, couples, and getaways on your own. I absolutely love this resort. Slideshow photos by Gloria J. Chang unless otherwise noted.